Dr. Joseph Thomas leads the Brazilian operations. He has transformed Wipro Infrastructure Engineering's operations in the region and led the successful launch of new products. A post-graduate in Mechanical Engineering and Business Management, Joseph has a Ph.D. from BITS, Pilani. He has over 25 years of industry experience in Manufacturing, Methods Engineering, Mega Project Management and Product Engineering. 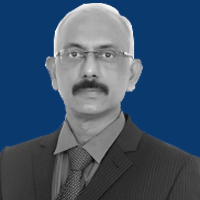 Joseph has been successful in inculcating the best practices of the Auto industry into the India Operations. Prior to his present role, he led the Quality, Cost, and Delivery function for all manufacturing facilities in India. He was the head of the manufacturing facility in Chennai as well.